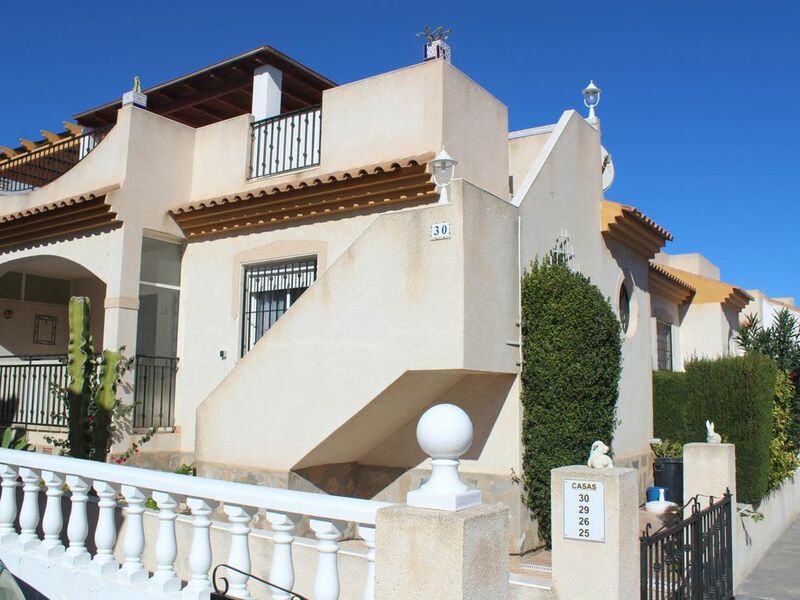 Holiday Let in Playa Flamenca – This delightful well kept Bungalow is located in Playa Flamenca and consists of 2 bedrooms, 1 bathroom, lounge with feature fireplace and a fitted kitchen. The property benefits from being in a gated community and has wifi, UK TV, air conditioning, large roof solarium and a communal swimming pool. Available for holiday rental from April to October. It is in easy walking distance to bars and restaurants. an only a short distance from the local Saturday street market and La Zenia boulavard shopping centre.